This screen acts similar to a file explorer dialog in Windows or Mac Os. 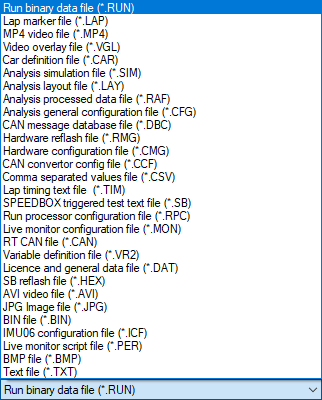 It gives access to all the file types that are used in RT software. Order of the files which appear in the file browser window can be changed by using the "Listing order" drop-down menu. Both accending and descending variations are available for each of the above options. 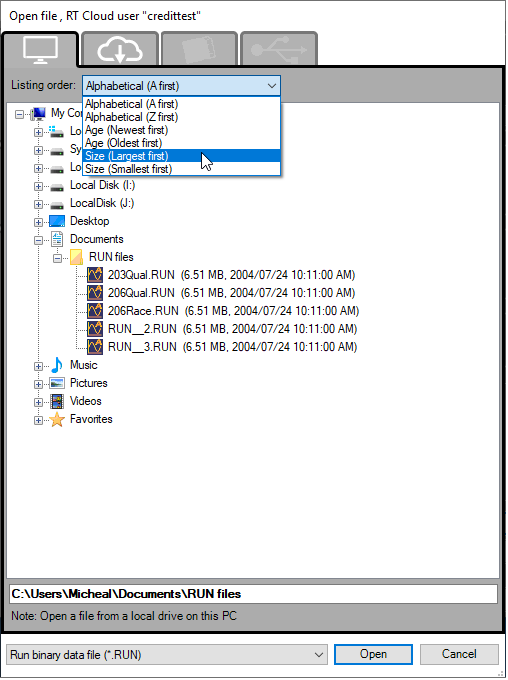 File Manager application gets opened every time when a user wants to load/open a file to that application. It remembers the path of the last opened file for that perticular application and for that perticular file type. Therefore when a user tries to open a file, the last loaded file path is automatically expanded. In File Manager application, user can browse to a file by expanding the directories (click on + sign) in the file tree. 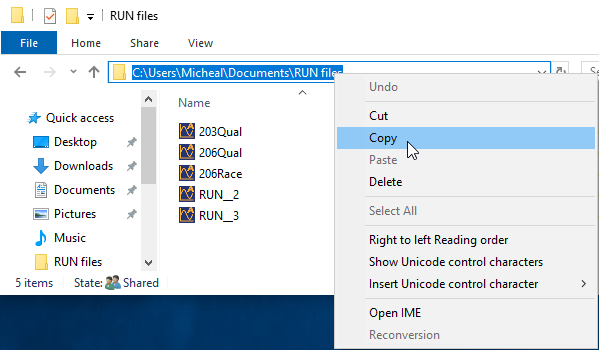 Alternatively user can browse to a file using his operating system's file browser and copy the file path from address bar and then replace the directory name in the path text box below the file tree with the copeid path. 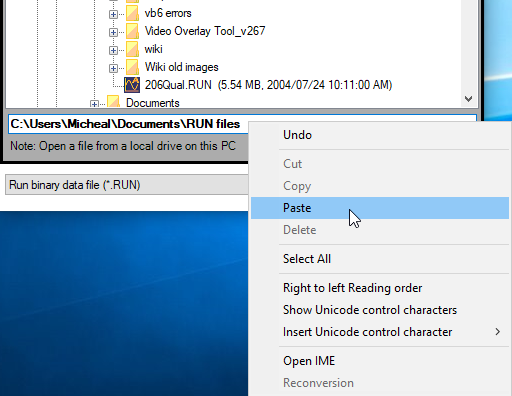 When user tries to save a file using File Manager application, a name for the file to be saved is auto generated and shown in a text box below the file path text box. This file name is generated by including the application name, current date and current time. 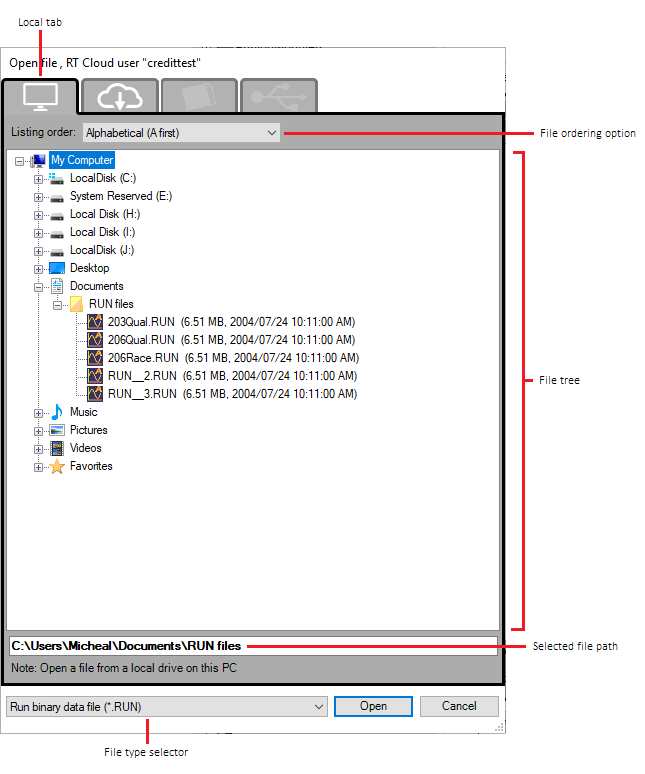 File type can be selected from the file type selector drop down menu at the bottom.